No Fee Promise is the promise that the Law Office of Dino J. Domina will not take a fee unless he wins your case. We invest the time & money required to win your case, we assume all of the the risk for our clients. When you’ve been seriously injured in an accident, it can affect nearly every part of your life: your health, your ability to earn a living, your finances, and your enjoyment of many of the things that make your life worth living. If your injury was the result of the negligence of some other person, business, or government entity, you have the right to seek compensation from that party, a goal best accomplished with the help of a Bronx personal injury attorney. When choosing a lawyer to represent you in your fight for compensation, you will want to select someone with many years of experience, and preferably one with a law practice devoted entirely to personal injury/wrongful death law. Being focused on this specific practice area allows an attorney to develop a level of expertise that a general practice lawyer simply can’t match. You will want a lawyer who knows your name and knows the details of your case—who sees you as an individual and not a number—and is concerned with your needs and those of your family. Your attorney should have superior legal knowledge and negotiating ability, and should be willing and able to try your case to a jury if that’s what it takes to get you the money you need and deserve. And of course, you want an attorney with an excellent track record, who obtains high dollar value settlements and verdicts for clients regularly, and who has achieved recognition in the legal profession. In the Bronx, you will find the high level of legal representation that you are looking for at the law offices of attorney Dino J. Domina. 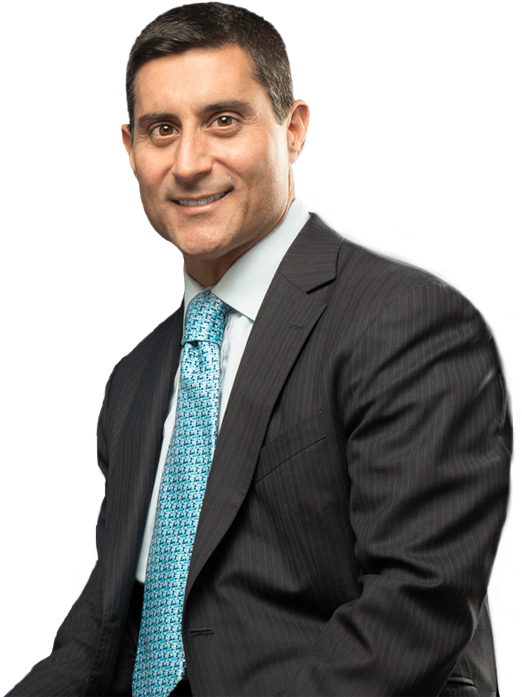 Dino Domina has more than 20 years of dedicated personal injury experience. He has a high rate of success in obtaining financial compensation for his clients, including many who have suffered the most catastrophic and life-changing injuries, such as traumatic brain injuries (TBI), spinal cord injuries (SCI), and extensive burn injuries. He is a master negotiator who can usually settle a case without having to go to court, but he is also a skilled and persuasive trial attorney who is at his best in the courtroom. A lawyer who knows your name and knows the details of your case—who sees you as an individual and not a number. He has been honored by Super Lawyers Magazine for his professionalism, record of success, and reputation among his peers in the New York legal community. But most importantly, he is focused on the individual needs of his clients and is passionate, tireless, and aggressive in the pursuit of an adequate recovery to fully compensate each person or family he represents. "I have had the sincere pleasure of working with Dino Domina, and his staff provided an excellent level of service. I was informed of everything that was happening pertaining to my case. Dino outlined from the very beginning what my options were." "My settlement was beyond any expectations I had. He was honest and forthright and I confided in his expertise and knowledge. He is the best lawyer and his staff was exceptional in everything!" "Mr. Domina is the most professional and trustworthy attorney and his staff is a pleasure to work with. Thank you all for everything you have done to make this tragic experience as easy on me as you all did." At Domina Law, all personal injury and wrongful death cases are taken on a contingency fee basis. That means there are no out-of-pocket costs for you up front, and you pay nothing whatsoever until your case is successfully resolved. The law does not allow us to promise you any specific result in your injury or wrongful death case, but we can absolutely promise you that you will receive the professional, focused, and results-oriented representation that has earned Dino Domina the reputation he enjoys today as one of New York’s most effective and compassionate personal injury attorneys. Contact an Experienced New York Personal Injury Attorney Today! We serve all courts throughout the Bronx, the five boroughs, and surrounding suburb. If you can’t get to one of our offices, we can come to you. Time to file your claim is limited. Don’t take a chance on losing your right to recover money and obtain justice. Call Domina Law today. will not take a fee unless he wins your case.